Butcher Brown, an up-to-the minute throwback to the great progressive jazz bands of the 60s and 70s, is a hard-working band in an era where most groups are fleeting assemblages, together only long enough to record. Their organic coherence emerges from long collaboration as a group of equals rather than a top-down, leader/sideman line-up. The distinctive familiarity they have as a band is showcased on their new album "Live at Vagabond," releasing December 8 via Gearbox Records. The pre-order for the album begins today and includes “The Healer,” a bonus track premiering with Glide Magazine. Recorded at a hometown show in Richmond, Virginia, in July of this year, their electrifying energy on "Live at Vagabond" is a sharp reminder of how vital a live album should be. Multi-instrumentalist DJ Harrison (who’s recently released a debut solo album on the mighty Stones Throw label) is broadly seen as the visionary, though this is an egalitarian band. Here his keys provide the harmonic colours around which drummer Corey Fonville’s muscular delivery and bassist Andrew Randazzo’s effortless cool pulsate. Marcus Tenney on trumpet and Morgan Burr’s guitar complete the quintet. 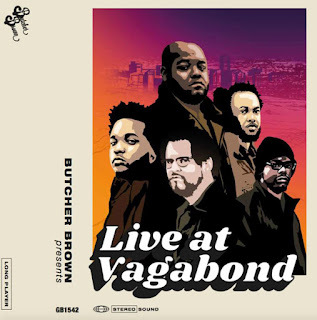 Butcher Brown’s musical maturity is surprising in such a youthful band, given that its members were all born after the mid-70s golden age of fusion. Still, their modern, hip-hop-inflected funk has rich echoes of Weather Report, Return to Forever, early Earth Wind and Fire and, perhaps, a pungent whiff of Zappa. Like those bands, Butcher Brown’s unified sound comes from the intertwined talents of the five members, each bringing something unique to the mix. Butcher Brown’s recordings to date, the polished soul/funk of All Purpose Music (Ropeadope) and the 20-track underground groove-laden beats cassette GrownFolk provide two great windows into the band’s charms. Multi-instrumentalist DJ Harrison has had a lifetime fascination with what makes a record work thanks to a childhood surrounded by a funk/rock/R&B saturated environment. Bassist Andrew Randazzo, the band’s navigator, offering a foundation for the band’s funk-inflected music. Drummer Corey Fonville, a percussion prodigy turned international jazz sideman, is the beating heart of Butcher Brown, pumping out fresh, danceable rhythmic complexities that are aimed at both the brain and the hips. Guitarist Morgan Burrs was seemingly destined for a life in music, originally picking up a guitar at age six. He has become a force in RVA’s music scene, where he is currently a junior at Virginia Commonwealth University. A recipient of the Louis Armstrong Award, trumpeter Marcus Tenney has studied with world-renowned trumpeter and former Joe Henderson sideman Dr. Rex Richardson. He has worked with artists such as Nicholas Payton, Billy Williams, Braxton Cook, Count Bass D, Bon Iver, Matthew E. White, Natalie Prass and many more. Impressive as they are individually, together they are something increasingly rare: a real band, playing for their audience and for each other, on the verge of a brilliant future. 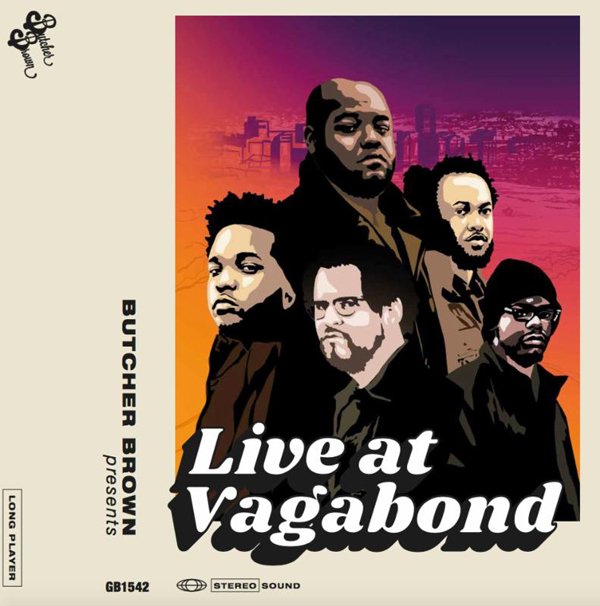 The controlled collision of each of their talents makes Butcher Brown a fun band to watch; the excitement wholly captured on their first-ever live album "Live at Vagabond."